Shopping for a new homeowner's insurance policy can be rather stressful and confusing, but taking time to educate yourself about coverage options and to understand your own needs is a first step towards ensuring you get the right policy for your home. If you have a mortgage on your home, your lender will have some minimum coverage requirements in place that you need to meet. However, you may be wondering if those requirements fully satisfy your needs. Your coverage should be sufficient to replace your home in the event it was completely destroyed. However, this does not necessarily equal the sales price or appraised value of your home. Those figures include the value of your home plus the land it sits on. The land will not be destroyed, and so you simply want to determine what the replacement cost of the structure is. You can get a fair idea about this by reviewing your property tax record or a recent appraisal on your home. Both of these documents will list a value for the land as well as a value for the entire property. Your homeowner's policy should cover the entire replacement cost for your home, but you also likely want to insure the contents inside your home as well. Consider if your home was damaged by a major storm, a fire, or other disaster, the contents inside such as your clothing, furnishings, electronics, and more would also be damaged. It can be difficult to estimate the replacement cost of such items, and there are online tools and calculators to help you with this. In addition to estimating the replacement cost of such items, you also want to document these items in detail. A great way to do this is to walk through each room in your home with a video camera, capturing all of the furnishings, clothing, and more in the space. Give the video to a third party, store in a bank safe deposit box, or keep it in a fireproof safe. This will make it easier for you to file a claim later if necessary. It is common for a deductible on a homeowner's policy to be significantly higher than the deductible for a car insurance policy. It is common to find deductible that are 1% or 2% of the home's value. Opting for a higher deductible can lower your premium. However, you do want to ensure you have the cash on hand in a savings account to pay the deductible if necessary. 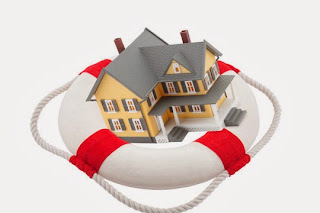 These tips can help you to buy a homeowner's insurance policy that best suits your needs and that can prevent loss due to damage to your home and belongings.